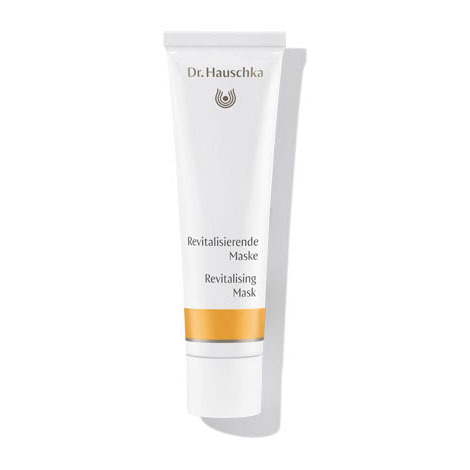 Revitalising Mask offers soothing care and renewal to all skin conditions. The appearance of redness or blemishes is diminished, pores are visibly refined and skin appears even and toned. Formulation: Quince, anthyllis and chamomile clarify and balance blemished, large-pored skin, while cooling and hydrating sunstressed skin and skin prone to couperose. Nurturing jojoba, apricot kernel and wheat germ oils help the skin maintain moisture for skin that looks and feels instantly refreshed and toned. Once or twice each week, apply a generous amount of Revitalising Mask to the face (include eye area), neck and décolleté, if desired. Remove after 20 minutes with a warm, damp cloth. For optimum skin care results, we recommend deep cleansing with Clarifying Steam Bath and Clarifying Clay Mask prior to use. To soften the appearance of blemished or scarred skin or skin prone to redness, supplement your day cream with Revitalising Mask. Mix a small amount of each in your palm then apply as a thin layer in the morning.